Grace has been a resident of New Hyde Park, NY for over 40 years. Before entering the Real Estate field and becoming a Realtor in New Hyde Park she was a Saute Chef and worked in restaurants on Long Island. Changing gears was the right fit as she made her mark quickly, taking to the business and caring for the clients she serviced. With 22 years of experience, Grace has become the “Go To” agent and is a consistent leader with a reputation for tenaciously protecting her clients’ interests. Savvy negotiations and great marketing strategies join uncompromising integrity as the hallmark of Grace’s service. 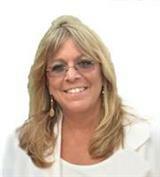 If you need a broker in New Hyde Park, NY and surrounding areas, give her a call! Grace is exceptionally well-respected in the Community by her clients as well as her peers, not only for her Professional track record and high ethical standards, but for being an honest and hard-working individual who does absolutely everything to ensure her clients’ success. Thanks to her loyal clientele, personal referrals and repeat business, they form the foundation of Grace’s career. Buying and Selling Real Estate is a process that requires the right resources to help you make informed decisions toward a successful Real Estate transaction. As a Real Estate Broker in New Hyde Park, NY she will provide you with the tools you need to complete your home sale or purchase with ease. Call Grace anytime without obligation. She is ready to go to work for you today! As a real estate professional and realtor in New Hyde Park, NY, she is here to provide you with the tools you need to complete your home sale or purchase with ease!